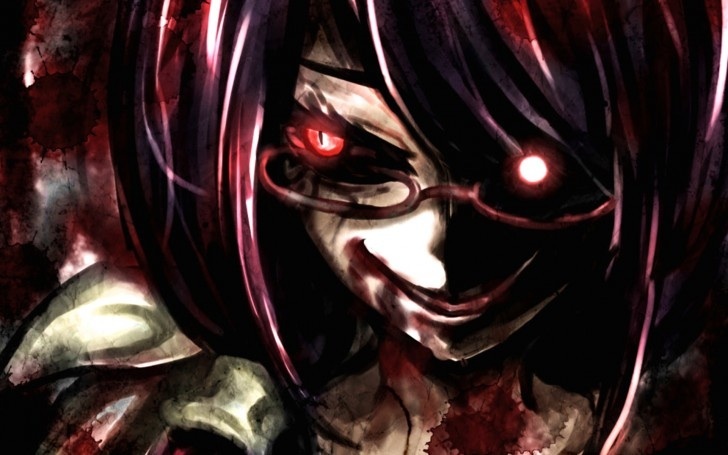 Rize Kamishiro. . Wallpaper and background images in the Tokyo Ghoul club tagged: photo glasses ghoul rize kamishiro fan art tokyo ghoul. This Tokyo Ghoul fan art contains cavolo rosso, aringa, clupea harengus harengus, harengus di clupea harengus, sardine del pacifico, sardinops caerulea, and sardina. There might also be radicchio, aringhe, harangus clupea, clupea harangus, fondere, and c'era un odore.